Pain management is something that will become important in the lives of many people. Typically, it goes hand-in-hand with palliative care, where a physician and other supportive health professionals will do all they can to make a person's last months, weeks or days as comfortable and pain-free as possible. For people who suffer from a terminal illness, pain management is usually a very important part of their daily care. 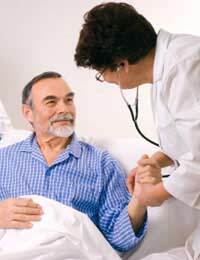 As such, it has evolved over the years to become a medical specialty – palliative care. For those who suffer from such an illness, obtaining a specialty physician who has extra training in this area can make an enormous difference in quality of care. Physicians who work in pain management really come into close contact with patients experiencing a lot of suffering. To work closely with these people on a regular basis, a physician in pain management has to deal with the constraints of modern medicine and disease treatment. Being able to remain calm and compassionate is key, as a physician in pain management needs to show empathy for the patient. A respect for the patient is particularly important as patients who are in a lot of pain, especially those with terminal illnesses, may also be dealing with loss of function in daily living. You also need to work well with other people, as palliative care tends to involve a number of other health professionals such as nurses and counsellors who are trained in this area. You should have excellent communication skills and be able to make sound decisions that can be supported by other healthcare workers. Unfortunately, this is an area that has come under a great deal of controversy, particularly in the United States. Dealing with patients who are sometimes in tremendous pain means writing prescriptions for controlled albeit legal medications. These are stringently regulated and more so than other pharmaceuticals, due to their potential for abuse. A physician who works in pain management – often called a pain doctor – will have to use sound scientific judgment to determine the appropriate dose for the patient. This means using an amount that provides as much pain relief as possible while minimising the side-effects and chance of dependency for the patient. Far from being an easy career choice, it is best for physicians who are logical thinkers and can make recommendations based on facts, not emotion. The unfortunate aspect of litigation – more so in the United States than anywhere else – means that a physician has to be particularly scrupulous in keeping accurate records as well. The reality has also meant that pain management physicians are sometimes hesitant to prescribe the truly needed dosage because they prefer to err on caution due to the potential for litigation. However, for those who are deeply caring about making a patient's life better and more comfortable, especially for those with a terminal and debilitating illness, working as a physician in pain management can be very rewarding.